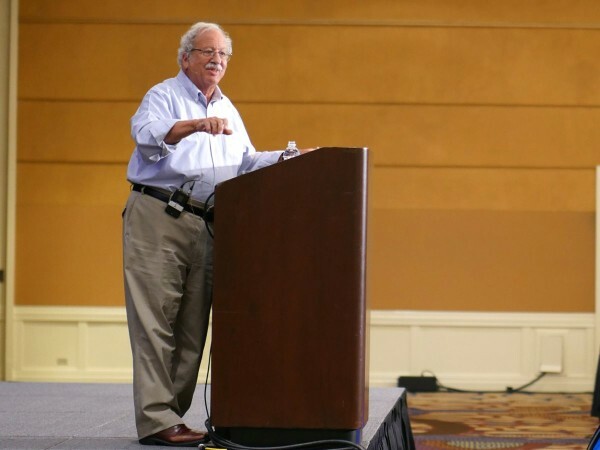 Marshall Ganz, senior lecturer in public policy at the Kennedy School of Government at Harvard University, gave the closing keynote at the Carnegie Foundation’s second annual Summit on Improvement in Education. During his address, Ganz spoke about the history of organizing in the United States, his personal involvement in social movements, and he offered a framework for social action. Ganz began by highlighting how the American government has historically been better at inhibiting change than enabling it: “Deep reform has rarely emerged from within government.” As a result, movements of moral reform have often emerged from outside government, through social movements, which Ganz believes are “a uniquely critical and important mechanism of change and deep reform in our country.” As examples, Ganz highlighted the movements for the abolition of slavery, temperance and agrarian reforms, women’s rights, gay rights, and others. These movements have come from people and leaders who are responding to unjust circumstances by asserting new values and mobilizing political power to translate those values into action. Leadership for social movements requires learning how to translate our values into the emotional resources that enable us to respond to challenge with courage rather than fear. Ganz’s personal introduction to organizing came in the summer of 1964, when he left Harvard to volunteer for the Mississippi Summer Project, an effort to register African-American voters during the Civil Rights Movement. There, Ganz saw that “people of the problem have to be authors of the solution. … What we learned is that there is a difference between resources and power.” The movement showed that people who seemingly are without resources (such as money) have other resources (such as personal will and moral authority) that can be used to expose the fact that power is always dependent to some degree on those whom it exploits. Ganz later took these lessons to work with Cesar Chavez’s National Farm Workers Association (later the United Farm Workers union) in California. Throughout his career in organizing and work at Harvard University, Ganz has developed a framework for social action based around the heart (narrative), the head (strategy), and the hands (action). Taken together, this framework can help leaders build a successful movement around some moral dilemma. By heart, Ganz refers to capturing human will through the emotional power of narrative: “Leadership for social movements requires learning how to translate our values into the emotional resources that enable us to respond to challenge with courage rather than fear.” Through this translation, done principally via narratives and storytelling, we can assert why we care about the outcomes of any given movement. Narratives, and especially their emotional components, allow us to confront challenges, find hope, and resist reacting with fear. Stories are a source for translating values into hope and self-efficacy, which allows leaders to engage others in purposeful collective action. By head, Ganz means the strategy that allows one to “turn what we have into what we need in order to get what we want.” Leading change requires challenging the status quo, being resourceful with one’s assets, and understanding the interdependent or relational character of power. As in the Civil Rights Movement, leaders of social movements generally must figure out how to leverage the resources that are more widely held, such as time and people, rather than narrowly held, such as money and property. In education, Ganz showed that while educators might believe they are powerless against external forces, the challenge is to discover how the resources they do possess can permit them to assert power. By hands, Ganz refers to the action that comes from a willing group of people with a coherent strategy: “Action must be clear, measureable, and specific if progress is to be evaluated.” It is not enough to have convinced a large group of supporters. Instead, the strategy must be paired with measurable goals in order to learn what works and track progress towards a well-defined aim. Ganz’s framework for social action presented Summit attendees with a way in which they can help contribute to a much-needed movement around quality improvement in our nation’s schools.